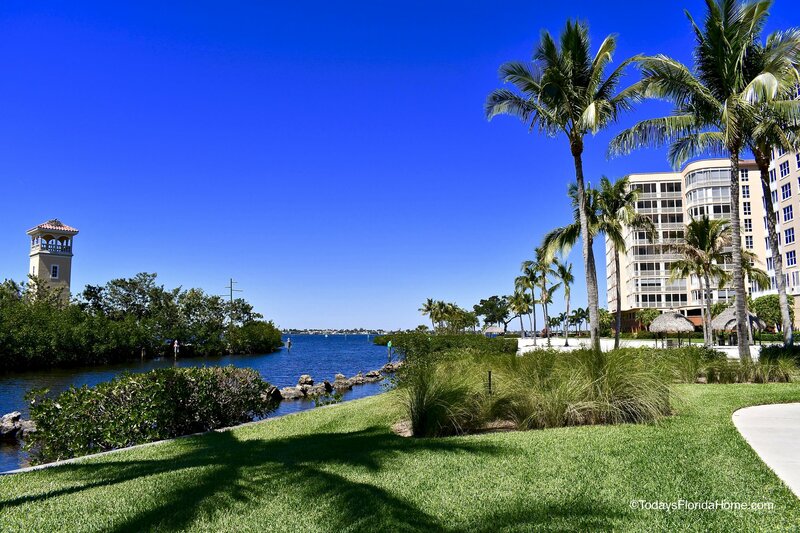 A luxurious waterfront lifestyle abounds in The Paramount, where the convenience made possible by high-rise condo living blends with a desirable Southwest Florida location. 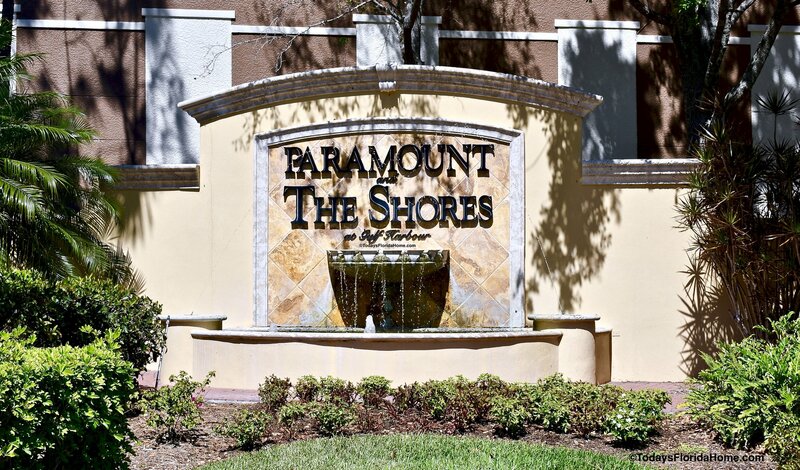 When it comes to Fort Myers luxury condos, The Paramount at Gulf Harbour is commonly one of the most sought after destinations for condo buyers, with spacious residences and an array of desirable features and finishes at every turn. The newest high-rise to grace the greater community of Gulf Harbour, The Paramount at Gulf Harbour was completed in 2006, filled with many of the most modern conveniences that new buyers seek out and desire in a luxury high-rise condo. Less than four-dozen units make up the entire development, rising up 11 stories above the Caloosahatchee riverfront. As well, many of the waterfront condominiums enjoy the extra advantage of Gulf, marina and golf course views, with elegantly appointed condo units that capitalize on their desirable location in every way. The waterfront development provides ease of access to the extreme enjoyment of a Florida boating lifestyle, while also remaining a prime golf course community for the region. With spacious floor plans ranging from around 3,300 to 4,400 square feet in size, the large three- and four-bedroom units of The Paramount easily afford new buyers with the extra space needed and desired. The sweeping, open floor plans also provide the upscale luxury of spectacular views overlooking the marina and the nearby Caloosahatchee River. Additionally, added amenities of living within The Paramount include the development’s grand salon and private elevator entry. In addition, the property also offers its residents use of a social room and lounge, extra storage space, locker rooms and a sauna. There’s also a fitness center on site, while a resort-style swimming pool and spa cater specifically to the needs of residents of The Paramount. Residents additionally enjoy the ease and convenience of on-site and secure garage parking. While The Paramount may be the newest development of its kind in the community, it joins a number of other desirable residential offerings. Along with The Paramount, other high-rise condo options within Gulf Harbour are equally impressive. Facing the Caloosahatchee River, Palmas Del Sol is another admirable, three-tower development that sits on the south side of the community. With gracious views of the nearby waterfront, the units of Palmas Del Sol range from around 2,400 to 3,300 square feet in size, with the option of two- or three bedroom floor plans. The towers of Palmas Del Sol range from six to eight floors high, topping parking and some enclosed private garages. Along with the beautiful water views, residents of Palmas Del Sol also enjoy the ease and luxury of the community swimming pool, just adjacent to the clubhouse within this privately gated development of Gulf Harbour. 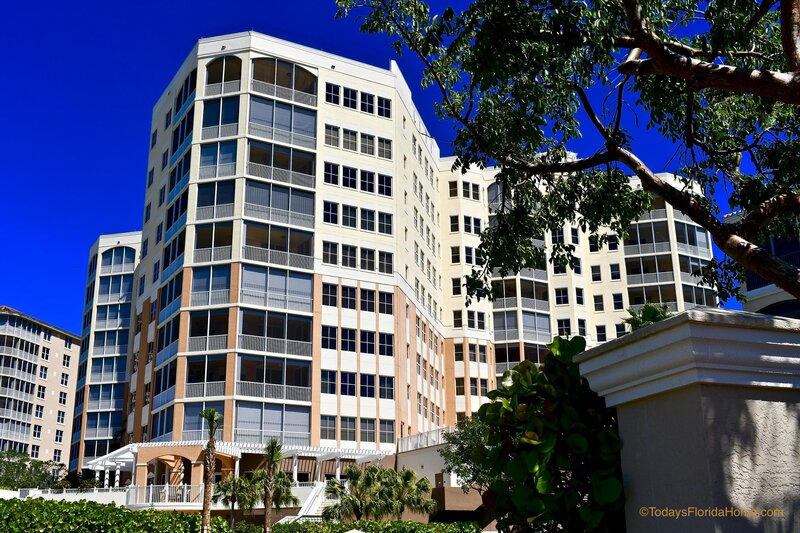 Yet another high-rise option exists within the community with The Shores at Gulf Harbour. Just north of The Paramount and overlooking the Gulf and the harbor, a trio of ten-story towers makes up this particular development, with condos including oversized, privately screened-in terraces and sensational water views. This development also offers condos with around 2,100 to 3,300 square feet of living space, coming in both two- and three-bedroom floor plans. While obviously offering the largest designs of any of the high-rise developments of Gulf Harbour, The Paramount condos also enjoy some of the most modern conveniences. The newer construction design easily makes them some of the most desirable residences in the area. That’s not to say, of course, that the other residences of Gulf Harbour are not equally impressive. Residents of The Paramount, The Shores and Palmas Del Sol surely delight in the many opportunities that exist with living in Gulf Harbour and the membership options available through The Gulf Harbour Yacht & Country Club. The property boasts a private clubhouse with the option of golf or sport memberships. The 18-hole, private golf course is said to be challenging for those of all levels, while the tennis facility is also an attractive bonus of a Gulf Harbour lifestyle. With eight lighted and clay courts, two of which overlook the nearby river and lakes, the tennis facility hosts special events and tournaments throughout the year for its members. The property additionally features a large fitness center filled with trainers, classes and equipment, while a full-service spa provides relaxing services to its members on-site. Membership also affords access to a junior Olympic-sized swimming pool and hot tub overlooking the harbor, as well as on-site drinks and dining, from casual options to more formal affairs. As well, the club also routinely hosts a number of planned events for its members, from parties and holiday-themed programs to weekly fitness classes and other social activities. Not to be overlooked either is the advantage of not only a golf course on the property but also the boating lifestyle, made possible living within Gulf Harbour. Boat slips are available in a deep-water setting for lease or for an extra fee, with easy Gulf access. 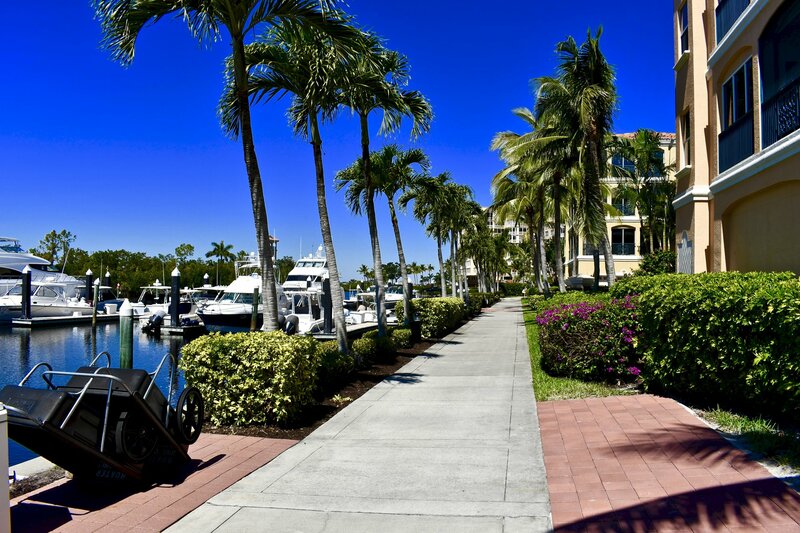 Other advantages of living within Gulf Harbour Yacht and Country Club include the many walking and biking paths that wind throughout the community, offering up extra outdoor recreational options to residents. In addition, the entire community is just minutes away from some of the other most sought after sites and attractions of the region, from Sanibel Island to Fort Myers Beach. The larger community of 1,600 residences consists of around two-dozen different neighborhoods, with residential choices ranging from single-family homes to townhouses and, most recently, the exceptional high-rise condos of The Paramount at Gulf Harbour. 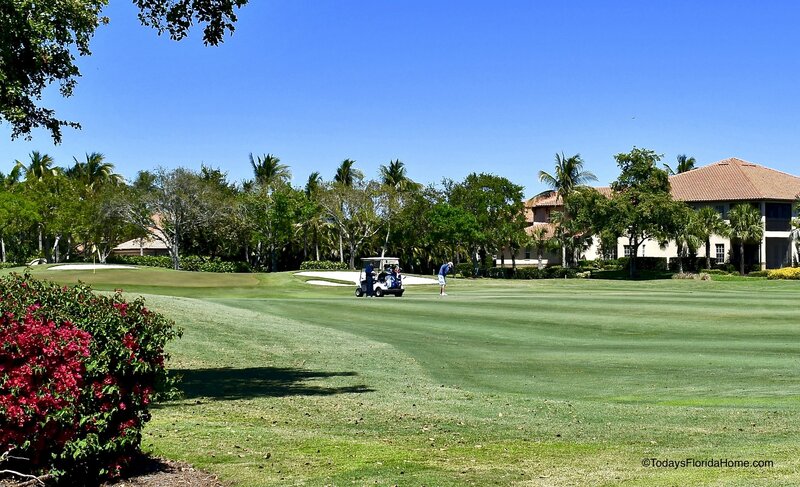 From views of the riverfront to easy boating access, a golf course and many other amenities, there is no place quite like living at The Paramount in South Fort Myers, Florida.